The written word is central to the Baha’i Faith, the youngest of the world religions, whose Prophet-Founder Bahá’u’lláh was born 200 years ago. Hilary Freeman of the UK National Baha’i Archives Team tells the story behind some of the original writings of Bahá’u’lláh, currently on display in the Museum. 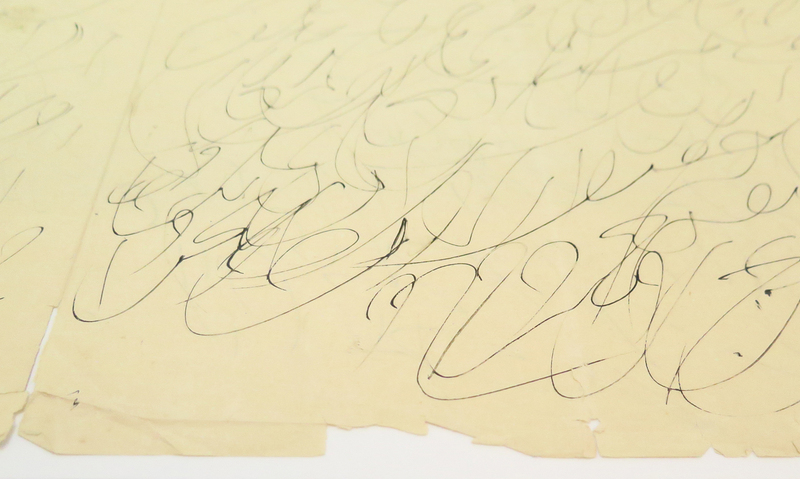 Handwriting of Bahá’u’lláh on display in Room 34. © Baha’i International Community. There’s a famous saying that ‘the pen is mightier than the sword’. In other words, ideas have a greater impact, when written down and read, than when they’re spread by force. Those words were coined by the English author Edward Bulwer-Lytton in 1839. 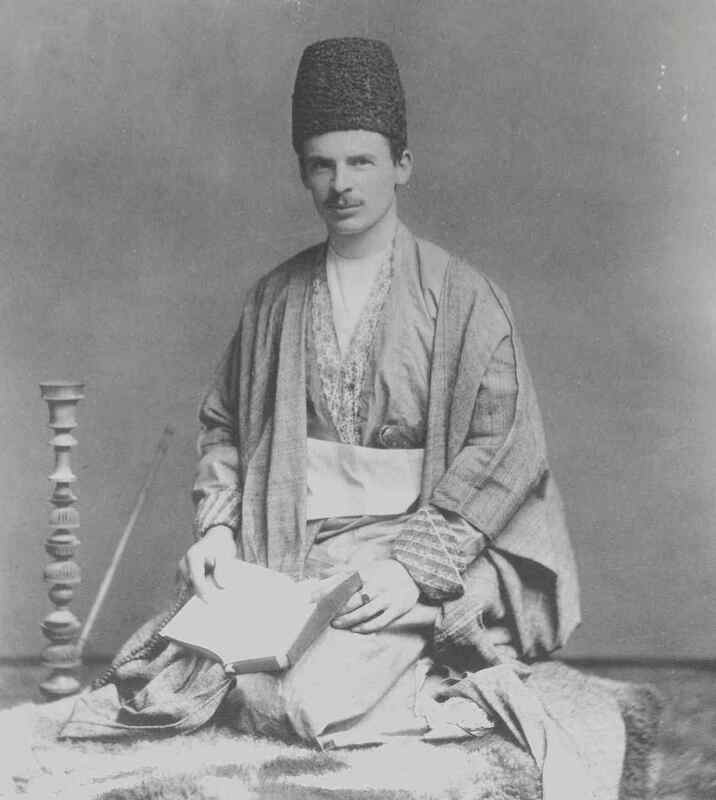 He was an exact contemporary of the Persian nobleman Bahá’u’lláh, Prophet-Founder of the Baha’i Faith, the bicentenary of whose birth is currently being celebrated around the world. The importance of the written word for Bahá’u’lláh was established in the earliest moments of his religion. During his first spiritual revelation, he heard these words, ‘Verily, We shall render Thee victorious by Thyself and by Thy Pen.’ This was to be a message of peace offered, as a gift to people, only through words and the positive acts of those who believed them. 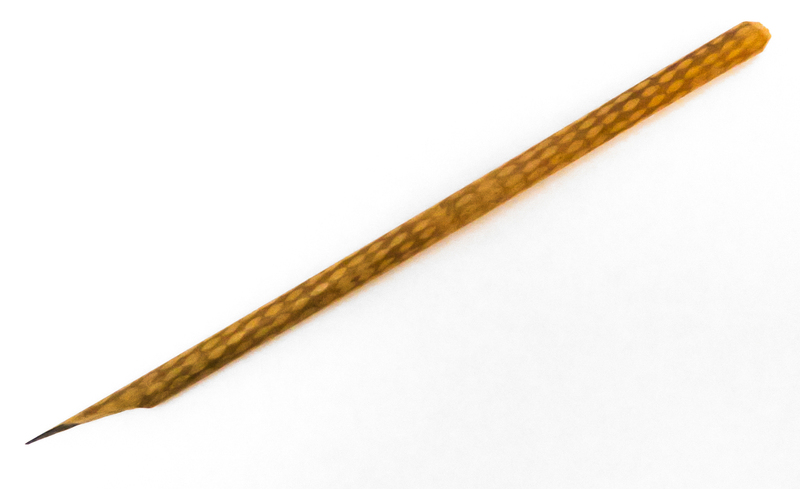 Here is one of the original pens used by Bahá’u’lláh. It’s hard to imagine today, when we have the ability literally at our fingertips to share ideas in an instant across the planet, that it was through pens such as this that Bahá’u’lláh set out his vision for one, united human race, in more than 100 volumes of writings. Despite the limitations of the technology, Bahá’u’lláh’s teachings spread, giving rise to a community that now numbers in the millions, established in virtually every country on the planet. The power of the ‘Word’ has been central to all the world’s great faiths. It has inspired human beings to discover their noblest qualities and create new patterns of life, giving rise to great civilisations. In the case of older religions, it was the spoken sayings of their founders that were heard and passed down by others, captured in texts that have become sacred scripture. For Muslims, the Qur’an was verbally revealed to the Prophet Muhammad. The revelation that Bahá’u’lláh received, for some 40 years, was immediately written down, authenticated by him, and shared far and wide. For all of that time, because of his teachings, Bahá’u’lláh endured torture, imprisonment and a series of exiles from his homeland. Eyewitnesses left accounts of the extraordinary manner by which Bahá’u’lláh’s writings came into being. 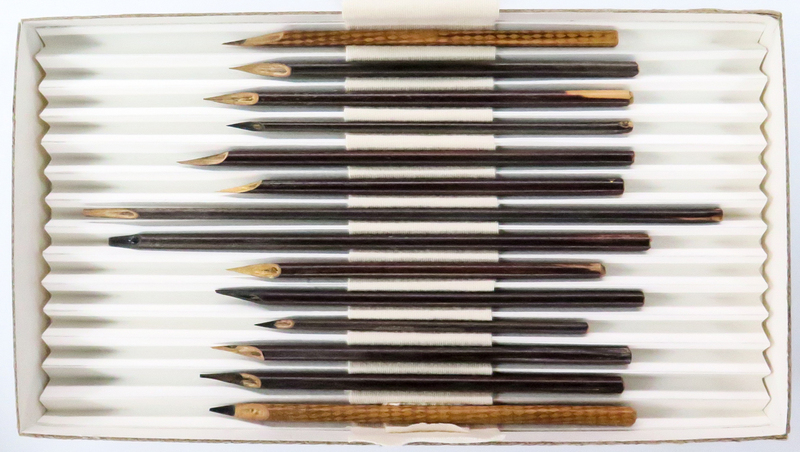 Firstly, his secretary, Mírzá Áqá Ján, would have ready a number of reed pens – also on display in the bicentenary display – and stacks of large sheets of paper. The verses would then seem to flow from Bahá’u’lláh, who spoke rapidly or chanted them aloud. Such was the speed with which his verses had to be captured on the paper that they were only readable by the scribe himself. Seeing this page of ‘revelation writing’ by Mírzá Áqá Ján, it looks almost like a sketch by a 20th-century Abstract Expressionist artist. But these are Bahá’u’lláh’s words, hurriedly captured by his scribe. Later, Mírzá Áqá Ján would copy out his marks in legible handwriting. Sometimes he could not even read his own writing and he had to ask Bahá’u’lláh to help him decipher what was dictated. Then Bahá’u’lláh would give his seal of approval to the clean copy. 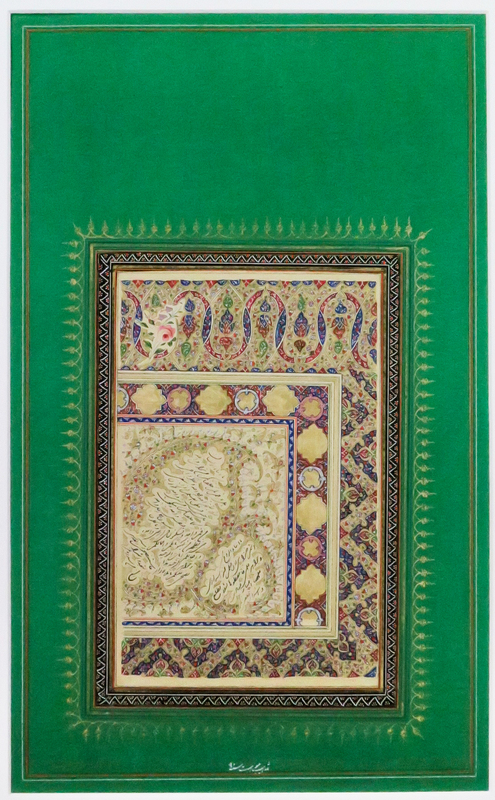 Other followers would then take this version, and write it out again, sometimes bind the verses into books like this one, so they could be transported and shared with people throughout the Middle East, and even as far afield as India, Burma (Myanmar) or China. 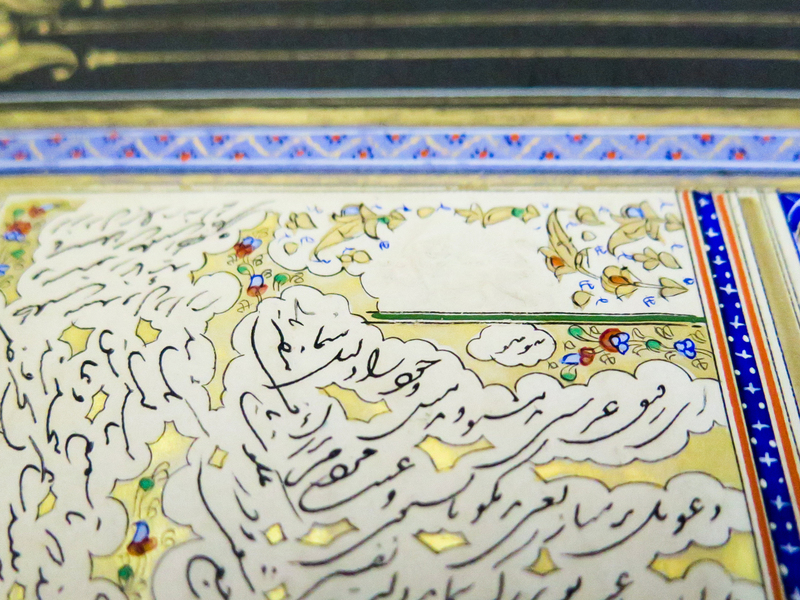 Bahá’u’lláh himself was also a skilled calligrapher, often transcribing his writings in his own beautiful handwriting that was later illuminated on the page. Imagine if the handwriting of Jesus Christ were to be discovered, how extraordinary it would be for a Christian today to be able to actually see it! For members of the Baha’i Faith like myself, it’s a very special privilege to be able to experience alongside others, the original handwriting of Bahá’u’lláh. Usually such items are only on display for pilgrims who have made a special visit to see them in the Holy Land. 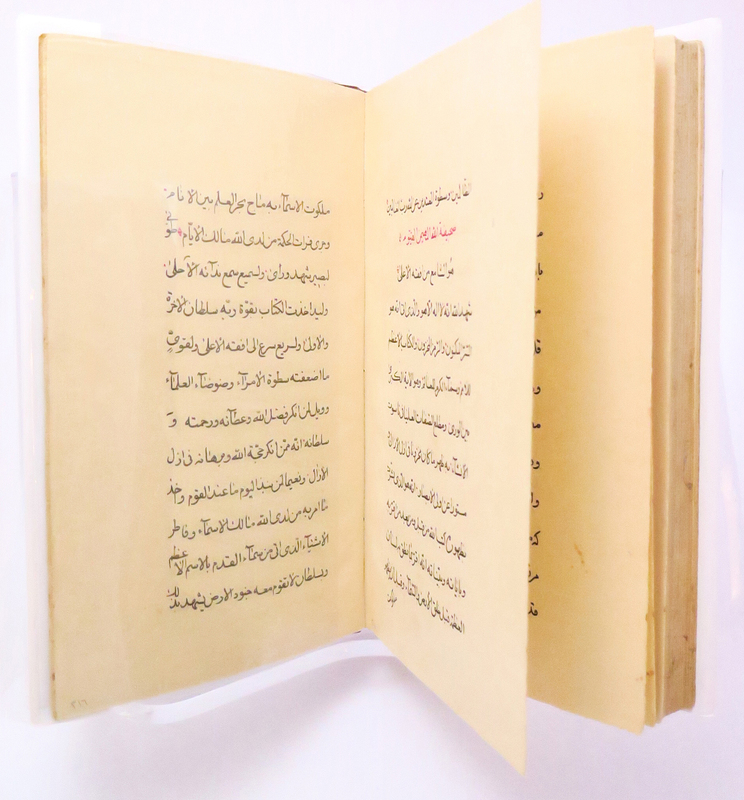 Most of the pieces in the display have been lent specifically from the International Baha’i Archives in Haifa, part of modern-day Israel, close to where Bahá’u’lláh passed away in 1892. The house where he lived for the final years of his life, outside the former Ottoman prison city of Akka, is where a professor from the University of Cambridge, Edward G Browne (1862–1926), went to visit him in 1890. The face of Him on Whom I gazed I can never forget, though I cannot describe it. Those piercing eyes seemed to read one’s very soul; power and authority sat on that ample brow… No need to ask in whose presence I stood, as I bowed myself before one who is the object of a devotion and love which kings might envy and emperors sigh for in vain. all nations should become one in faith and all men as brothers; that the bonds of affection and unity between the sons of men should be strengthened; that diversity of religion should cease, and differences of race be annulled… Let not a man glory in this, that he loves his country; let him rather glory in this, that he loves his kind. We should like to send them to our true friend. Though by God’s grace, he is endowed with outward and inward vision and has no need of them yet the object in view is a mention of us with him. 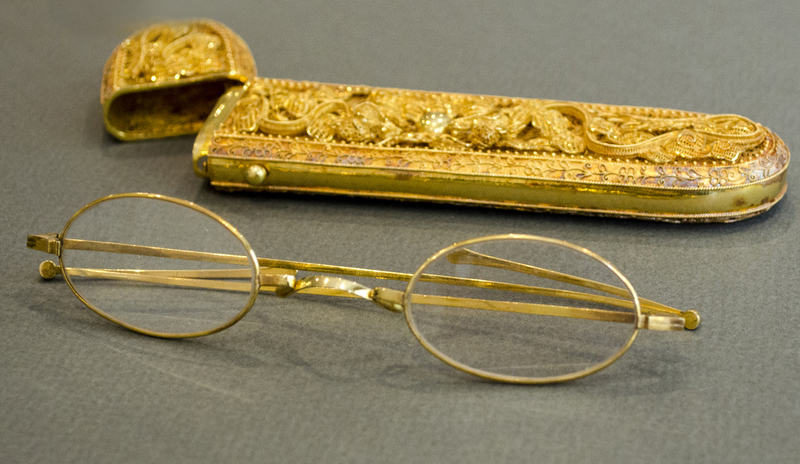 These glasses are also a rare and fascinating item in the display. Today several million Baha’is around the world are working with their friends and neighbours for the spiritual and material prosperity of their communities. But, as this display reminds us, it all started with the markings of a pen on paper.